Note from Aunt Helen; With our Thanksgiving right around the corner, I thought that maybe this would be a good recipe to put up for people who cook ham instead of turkey on Thanksgiving and what to do with leftovers. Remove stem, white fibers and seeds. Rinse cavities. 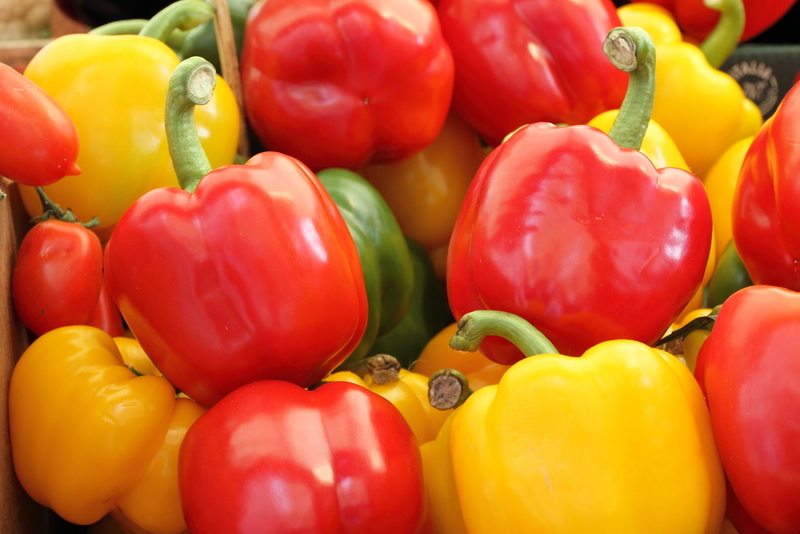 Drop peppers halves into boiling salted water to cover and simmer 5 minutes. Remove peppers from water and invert. Set aside to drain. Finely cut and set aside enough cooked ham to yield 2 cups. You will also need ¼ lb. Cheddar Cheese (sliced) and 1 ½ cup tomato juice. Lightly fill peppers with ham rice mixture. Place peppers in baking dish. Pour tomato juice around peppers. Bake at 350 degrees about 20 – 25 minutes. Place a cheese slice on top of each pepper for 5 minutes and let it melt. Note from Aunt Helen; It’s hard finding recipes to make with leftover ham besides ham sandwiches, quiche or pea soup (yes, I am French), so when I found this recipe years ago and made it, it was a great hit with my family which included at the time, a husband and two small children (who are now both in their mid and late thirties). So now everytime I cook ham and have leftovers, this is what I prepare. Multi-Vitamins and Fish Oil…Are they really good for you? I love stuffed peppers, I don’t make them nearly enough. Great post! Thanks, they are one of my favorites as well and really easy to make, I really should do it more often! !